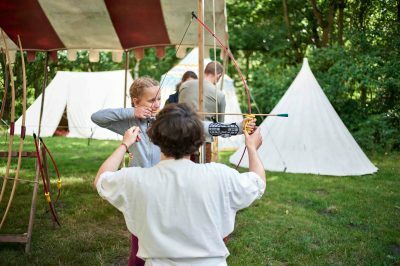 Have-a-go Archery – 30-31 March, 6-22 April and 27-28 April. More details. 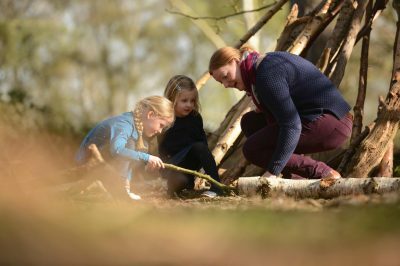 Sherwood Forest Easter Trail – Daily from 6-28 April, 10am-3pm. More details. Uncover Sherwood Forest with Robin Hood and Maid Marian – 10 and 19 April, 11:30am and 1:30pm. More details. Crafts – Check board for dates/times. Medieval Coverlet Sewing Sessions – 4 and 28 April. More details. Major Oak Talks – Free – Daily, check board for times. 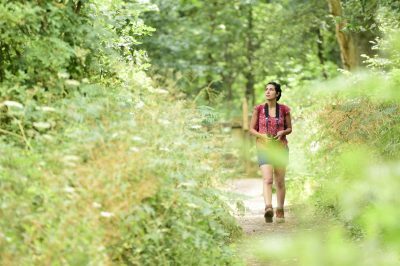 Sherwood Forest Guided Walk – Check board for dates/times. Meet Ivar the Yeoman Archer – Check board for dates/times. Storytelling with Robin Hood’s Little Outlaws – 13 April. More details. Please check the board outside the centre each day to see which activities are running. For more information contact the visitor centre at sherwoodforest@rspb.org.uk or call 01623 677123.